Happy Saturday Junkies! Pam here today to share a fun project featuring a pair of Technique Junkies August releases: SD 622 Zebra ATC and SS047 Zebra Quotes. I love the monochromatic look of this piece. 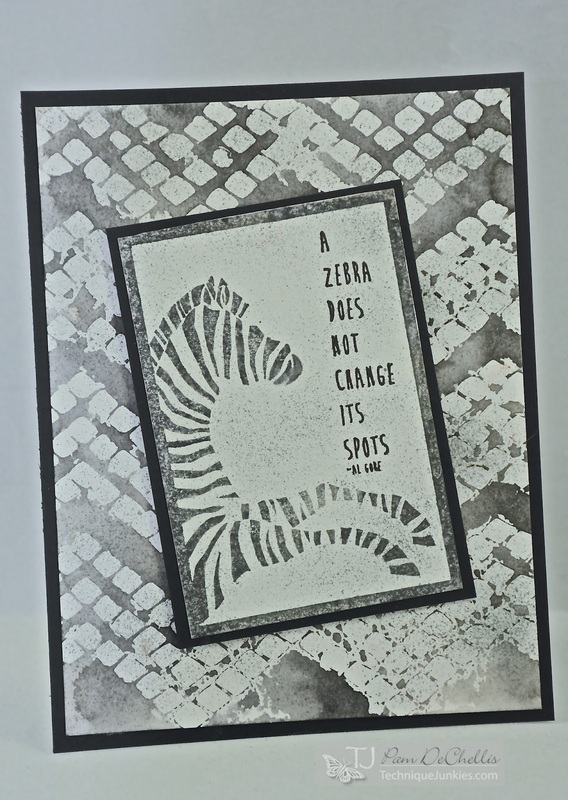 The background is a stencil mono print using The Crafter's Workshop Chevron stencil and Ranger Distress Ink Black Soot. 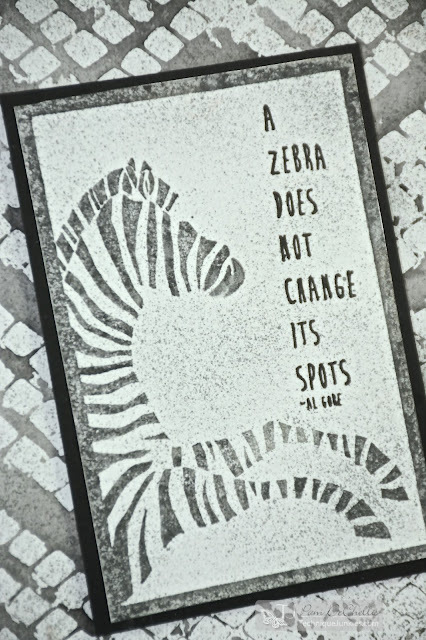 The Zebra was also inked with Black Soot Distress and misted with water before stamping to givie it a softer tone. The white space was filled in by using the Tim Holtz marker mister with the Black Soot Distress Marker. The Zebra quotes set comes with several sentiments- for this card I chose "A Zebra Does Not Change It's Spots" and stamped it with Versafine Black Onyx ink. Thanks for joining me again this week for another great TJ Inspiration. Stay tuned here and on my blog for more fantastic projects featuring the awesome TJ stamps!